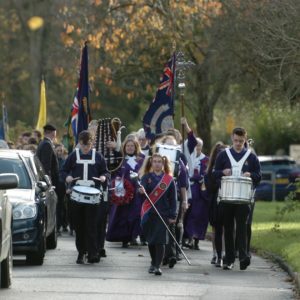 All of our sections marched and attended a service of remembrance in Hildenborough on Sunday 12th November. 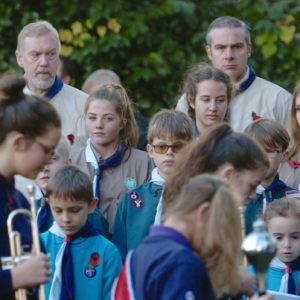 From readings in church, flag bearers, reading names & prayers all our young people performed brilliantly in the cold but sunny morning of remembrance. 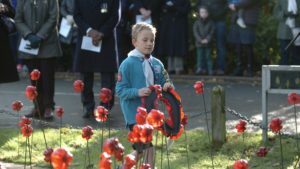 A huge turnout in the village to watch our Beavers, Cubs, Scouts Explorers and leaders being led by the Boys Brigade band. 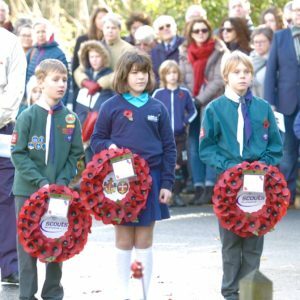 Thank you to all the villagers who supported our service of remembrance. 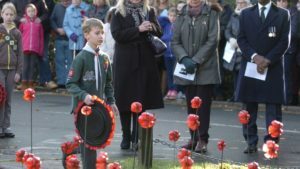 Thank you also to all our Volunteer leaders who again gave up their time to support our young people.